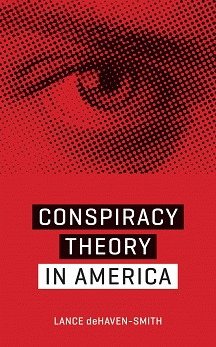 The term "conspiracy theory" was invented and put into public discourse by the CIA in 1964 in order to discredit the many skeptics who challenged the Warren Commission's conclusion that President John F. Kennedy was assassinated by a lone gunman named Lee Harvey Oswald, who himself was assassinated while in police custody before he could be questioned. The CIA used its friends in the media to launch a campaign to make suspicion of the Warren Commission report a target of ridicule and hostility. This campaign was "one of the most successful propaganda initiatives of all time." Professor deHaven-Smith is able to write this book because the original CIA Dispatch #1035-960, which sets out the CIA plot, was obtained through a Freedom of Information Act request. Apparently, the bureaucracy did not regard a document this old as being of any importance. The document is marked "Destroy when no longer needed," but somehow wasn't. CIA Dispatch #1035-960 is reproduced in the book. The success that the CIA has had in stigmatizing skepticism of government explanations has made it difficult to investigate State Crimes Against Democracy (SCAD) such as 9/11. With the public mind programmed to ridicule "conspiracy kooks," even in the case of suspicious events such as 9/11, the government can destroy evidence, ignore prescribed procedures, delay an investigation, and then form a political committee to put its imprimatur on the official story. Professor deHaven-Smith notes that in such events as Kennedy's assassination and 9/11, official police and prosecutorial investigations are never employed. The event is handed off to a political commission. "A SCAD approach to memes assumes further that the CIA and other possibly participating agencies are formulating memes well in advance of operations, and therefore SCAD memes appear and are popularized very quickly before any competing concepts are on the scene." The CIA's success in controlling public perception of what our Founding Fathers would have regarded as suspicious events involving the government enables those in power positions within government to orchestrate events that serve hidden agendas. The events of September 11 created the new paradigm of endless war in behalf of a Washington-dominated world. The CIA's success in controlling public perceptions has made it impossible to investigate elite political crimes. Consequently, it is now possible for treason to be official US government policy. Professor deHaven-Smith's book will tell you the story of the assassination of President Kennedy by elements of the US military, CIA, and Secret Service. Just as the Warren Commission covered up the State Crime Against Democracy, Professor deHaven-Smith shows why we should doubt the official 9/11 story. And anything else that the government tells us.